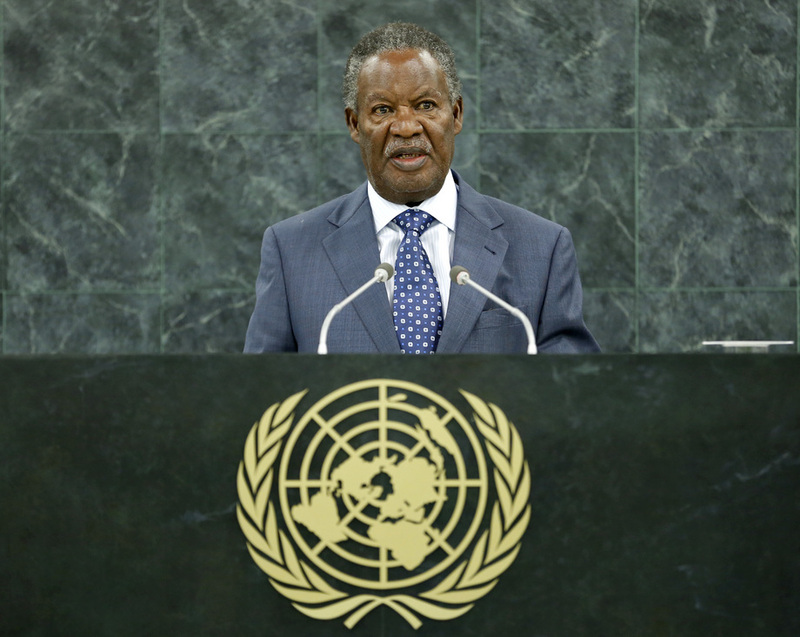 MICHAEL CHILUFYA SATA, President of Zambia, said that the African continent had crossed a significant milestone in May with the celebration of the fiftieth anniversary of the founding of the Organization of African Unity, the forerunner of the African Union. The Union was a symbol of the collective hopes and aspirations of a resilient continent, he added. The occasion, he said, fell almost jointly with the commemoration of the fiftieth anniversary of Zambia’s independence, which would take place in 2014. He noted that his country continued to enjoy political stability and had embraced democratic principles, which formed the basis for social and economic transformation for its people. He said that the Millennium Development Goals were set to address peoples’ aspirations. At this point in time, he stated it is critical what countries do between now and the closing date for the achievement and how they will move beyond 2015. He noted that Zambia had made tremendous progress on Goal 4 to reduce child mortality and on Goal 5 to improve maternal health. Great strides had also been made in the fight against HIV/AIDS, but challenges were still immense, he said, citing poverty and unemployment. He noted that marginal progress, in fact, had been made in reducing the prevalence of hunger. Food insecurity was also enhanced by social exclusion, he added. Turning to the post-2015 agenda, Zambia believed that the importance of the intergovernmental process on sustainable development was critical and could not be overemphasized, he said. He, therefore, reiterated the need to have a single set of universally agreed sustainable development goals reflecting sustainable development priorities, which should be actionable and concise and whose implementation should resonate with the different development and economic levels of Member States. To this effect, he said it was necessary to build global partnerships that are supported by the commitments towards regional and international cooperation. Addressing poverty-related issues was important for the achievement of sustainable and inclusive development of his country, he continued. Zambia, he said, attached great importance to the needs and welfare of all, but particularly of women, children and youth. To this end, he noted that initiatives had been taken in the fields of wealth and employment creation, quality education and quality health care, among others. To ensure continuity and sustainability, it was imperative that the post-2015 development agenda take into account the momentum attained in the realization of the Millennium Development Goals, he added. His address to the Assembly would be incomplete without underscoring Zambia and Africa’s desire to realize a more democratic and representative Security Council, he continued. He, therefore, called for greater progress in the negotiations and reiterated his country’s position as defined in the Ezulwini Consensus. The United Nations, he said, boasts an all-inclusive multilateralism, which was “obviously lacking” when it came to the Security Council. The effectiveness and legitimacy of this organ should manifest in its adaptation to the prevailing global realities, he concluded.